On the evening of June 21, a 23 year old South Korean conscript stationed with a general outpost (GOP) on the eastern front of the DMZ killed five of his fellow soldiers and wounded many others before fleeing into the surrounding wilderness. Although he was finally captured on June 23, the Ministry of National Defense now faces the difficult task of uncovering what caused this tragic incident and formulating policies to prevent future shootings. For observers of Northeast Asian security, this incident is also noteworthy because it reveals several key problems that the South Korean army must overcome in the coming years. This is not the first time that South Korea’s military has had to deal with violent outbursts. There were similar incidents in 2005 and 2011 when conscripts opened fire on other soldiers. In the aftermath of these previous cases, investigators determined that collective bullying played a significant role in pushing the perpetrators to commit their violent acts. Given these precedents, there are worries that the most recent shooting might signal that the culture of bullying in the military is even more prevalent than previously appreciated. Observers also questioned the military’s ability to effectively evaluate the soldiers’ psychological conditions. The perpetrator of the most recent shooting had been initially categorized as a “Class-A soldier of interest under special supervision” who exhibited serious psychological problems. However, upon reevaluation he was given a less critical diagnosis, making him eligible for deployment to a GOP, which is the most forward position along the border and requires constant handling of one’s weapons. 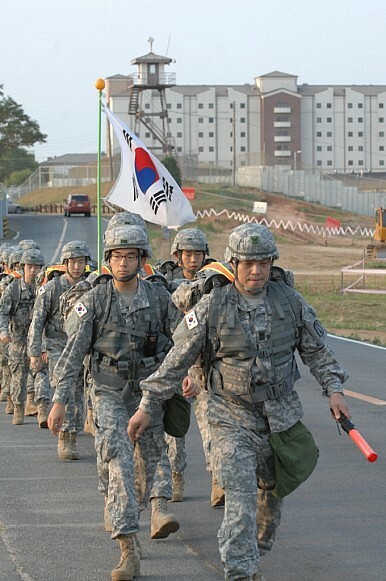 Providing context to those unfamiliar with the South Korean military’s classification of mental health, the spokesperson for the Ministry of National Defense noted that 20 percent of the soldiers in the 22nd Division of the South Korean army were classified as “soldiers of interest,” ranging from Class A (most serious requiring special supervision) to Class C (least serious, requiring basic supervision and including conscripts who have served less than 100 days). However, a closer look at the profiles of the designated personnel showed that the standards for the classifications are lax and often assigned by officers who lack the proper training to make psychological evaluations. In one case, an officer noted that he was assigned a quota for the number of “special interest” soldiers he must report to his superiors. As a result, the system has a difficult time distinguishing between conscripts who actually need help and those who are categorized quite arbitrarily, leaving some who are psychologically unfit to be deployed to the most stressful positions on the front lines. While administrative failures such as ineffective monitoring of bullying and inadequate psychological evaluations will no doubt be closely examined by the Ministry of National Defense, there is one glaring factor that has been ignored by the media and government: the logistical challenge of manning the border with a shrinking population. South Korea’s total fertility rate (TFR) has been falling since the late 1950s because the rapid urbanization that accompanied South Korea’s economic development resulted in declining birthrates. Shrinking steadily, the country’s TFR dipped below replacement level by 1983 and took further hits because of South Korea’s economic meltdown in 1998 and the rising cost of education. Although a common problem among developed economies, South Korea’s rapid population decline is particularly problematic because it affects troop availability amidst ongoing tensions with North Korea. According to a report by Elizabeth Stephen for the East-West Center in 2011, Seoul plans to adapt to these new demographic realities by reducing the size of its military from 522,000 to 387,000 by 2020. The South Korean military hopes to substitute the lost manpower with better technology and has dedicated 6.1 percent of the entire defense budget to research and development. However, even with higher R&D spending, the planned manpower reductions will not diminish the need to maintain key positions, especially the all-important forward positions along the border. The deficit in recruits will only grow larger as time goes on and create an environment where the military is more likely to ignore details such as psychological health to maintain steady troop levels on the DMZ. These factors ensure that without serious administrative changes, another tragedy similar to the one this week will most likely happen again. The question of manpower is one of the most urgent and pressing problems for the South Korean military. The planned troop reduction will be completed by 2020 but, by most estimates, the country’s troop availability will continue to fall alongside its declining fertility. At the same time, Seoul must take care to only send soldiers who are both physically and psychologically fit to serve to the DMZ.